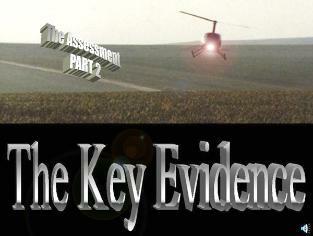 Crop Circles - The Assessment, The Evidence by Colin Andrews. 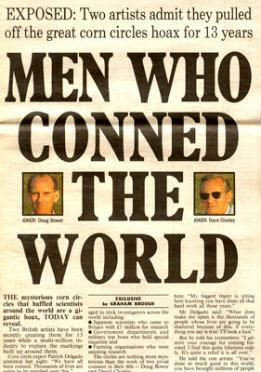 and ground work by private agencies and funded by Laurance Rockefeller in New York. 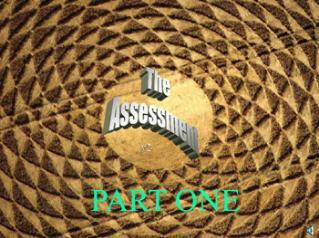 Watch the slide shows of The Assessment presentation, first given by Colin Andrews in October 2000. Allow 10-15 seconds to download parts one and two. to like him and his wife Jayne, very much. some cases did the farmers whose land they were on." being witnessed by researchers and the public alike, and even by the people making them. did they have the courage to head there. "It's much easier to discount the old mystery...."
"Even worse is that some know better but don't have the courage or honesty to come clean." impacted significantly by what we see in these fields and/or, what we would like to believe. the lesson. More on this again later. ...." to move this forward without malice to those we don't agree with. interest of making a clear case for my conclusion. "OK, let's look first at the case I made...." in 2000 for people making many of the crop circles. people making some of them, Matthew Williams. With all today's answers, one key part of the mystery deepens. Colin Andrews - 22nd August 2008.
used what ever they could to discredit us. show heard how they used a strange 'ET' metallic voice for commentary throughout the program. good investigative journalism the real phenomenon awaits and that I encourage. something inexplicable might be going on, but again they cast the researchers in a poor light. Looking at the man made.